Last year (September time frame) my 3 year old daughter was diagnosed with Autism. It didn't come as a big surprise, she was delayed in speech and most of her initial speech was echolalia (she echoed what she heard instead of responding to questions). She was diagnosed as "high functioning" but we were told to expect a lot more delays. One of the things that we were looking forward to was Christmas. I love Christmas time and was looking forward to have a little one excited about Christmas, and Santa. We thought last year would be the year she would (she turned 4 at the end of December). Well, not only did she not understand the concept of Santa, but she couldn't tell us one present that she even wanted. My wife and I were both pretty disappointed. It was the first major social norm she was not part of. The one thing that took away our disappointment and gave us a new perspective was when we put up the tree. We put up the tree while Tori was with my wife's parents. When she came home she immediately ran to the tree to look at the lights. Later that night we caught her laying under the tree looking up. She called for my wife to lay under the tree with her. 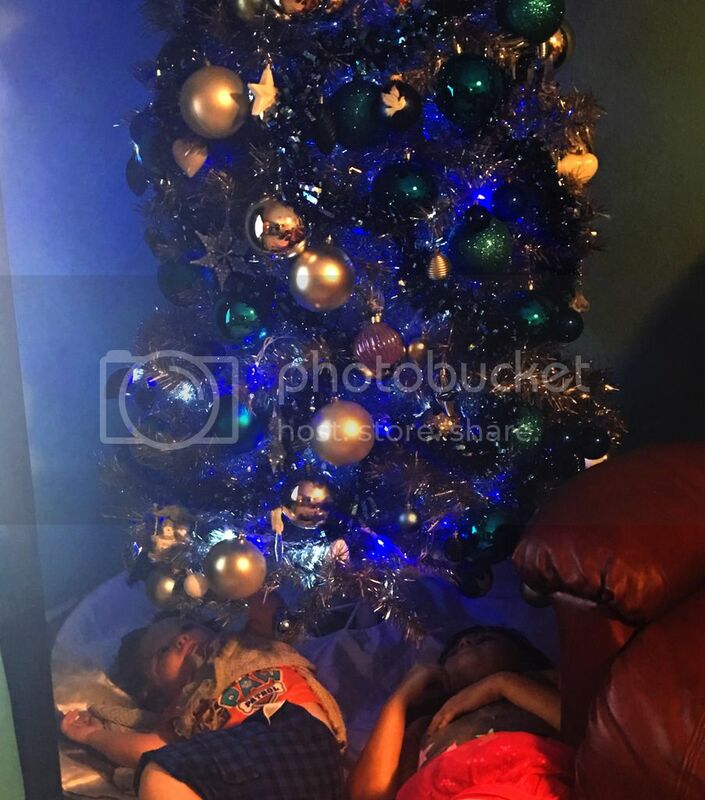 When my wife laid down next to her my daughter looked back up at the lights and ornaments and said: "Christmas is beautiful". Less than a week after Christmas last year, we lost my wife's sister (one day before their mom's birthday) .. it culminated into a REALLY long year for my wife, in which many deaths (most of which really were close) .. we needed a new start this year .. and I thought of Tori .. I have never met Tori or her Dad ... but this perspective just helped me settle .. Starting a new Christmas season is best .. knowing the reason for the Season is the ONLY thing that helps us get through ..
Last edited by Crocaneers on Mon Dec 07, 2015 7:59 am, edited 1 time in total. 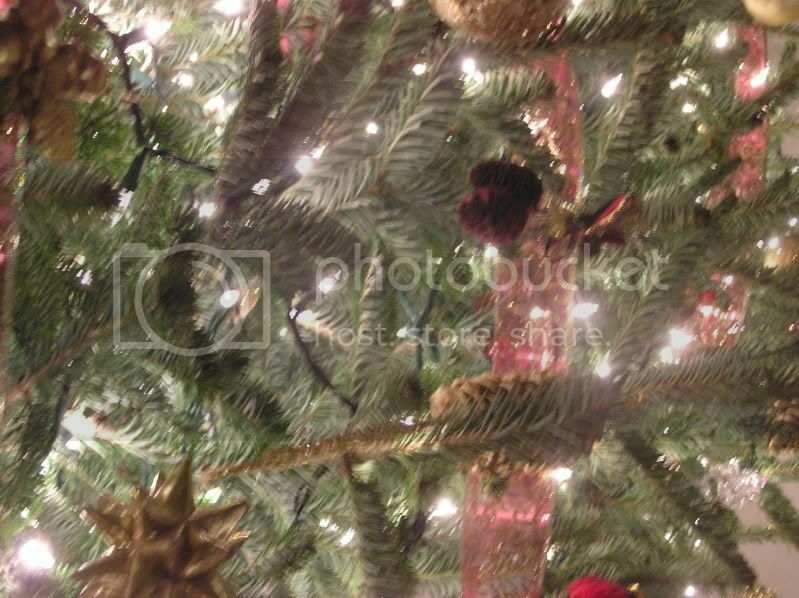 Kress wrote: Our tree is up. I trust no ceiling fans were involved? Are you at Kress' house? Thanks for holding the camera still. The ceiling fan was moving the branches around. My mother in law will be staying with us for the holidays and possibly from then on. She was diagnosed with leiomyosarcoma last year and went through the treatments. She's been feeling better but had a PET scan a couple weeks ago showing the cancer had further metastasized in her lungs and the prognosis isn't great. She had to get a ride for a followup PET scan yesterday (possibly inconclusive results?) because yesterday morning someone stole her van. I'm planning to take her around to see different light displays and the Christmas Town event at Busch Gardens when she gets down here. With the month she's had I'm hoping she can still see some of the beauty of the holidays. Tough season bfc. Soak up the quality time and try to enjoy. Less than a week after Christmas last year, we lost my wife's sister (one day before there mom's birthday) .. it culminated into a REALLY long year for my wife, in which many deaths (most of which really were close) .. we needed a new start this year .. and I thought of Tori .. I have never met Tori or her Dad ... but this perspective just helped me settle ..
Croc, thank you for sharing this story again. My wife and I have gone through a good bit of death in the family over the last couple of years. Every year when this is shared it reminds me again how amazing people are, and how much little things (like an autistic girl laying under a tree) can make a difference to people. I know we haven't met, but if there is anything my family or I can do for you, let me know. bucfanclw wrote: My mother in law will be staying with us for the holidays and possibly from then on. She was diagnosed with leiomyosarcoma last year and went through the treatments. She's been feeling better but had a PET scan a couple weeks ago showing the cancer had further metastasized in her lungs and the prognosis isn't great. She had to get a ride for a followup PET scan yesterday (possibly inconclusive results?) because yesterday morning someone stole her van. Shadowhawk wrote: Croc, thank you for sharing this story again. My wife and I have gone through a good bit of death in the family over the last couple of years. Every year when this is shared it reminds me again how amazing people are, and how much little things (like an autistic girl laying under a tree) can make a difference to people. I know we haven't met, but if there is anything my family or I can do for you, let me know. We don't have a real tree, and I decided to buy us a new one ... needed change .. needed a different picture for our holiday. As I put it last week, I stopped everything, pulled out my phone, and sat under the tree .. Hawk, you will never know what Tori's story has done to the many that have read it. So this happened today, Wish I snapped a better picture so it wouldn't have to be so cropped. But I had to grab my phone quickly before one of them got up. Sometimes the moment is better than the picture! I won't mention the fact that you have uneven ball placement (ooca). I swear to God, we had our neighbors over one time, are sitting there with some drinks, and the dude just randomly gets up and moves one of our ornaments. What? What did I say? My son turned 3 today. Similar to the original post, he has no idea it is his birthday (Or Christmas). Honestly I am not even sure if "normal" 3 year old kids know it is their birthday at age 3. I know when I sang to him this morning he gave me a hug and a kiss. I know he was able to tell me he loves me (even if he is just repeating), and I know I am truly blessed to be his parent. Shadowhawk wrote: My son turned 3 today. Similar to the original post, he has no idea it is his birthday (Or Christmas). Honestly I am not even sure if "normal" 3 year old kids know it is their birthday at age 3. He doesn't have to know the "meaning" of love to feel love. I'm sure, even at 3 years of age, children are quite capable of feeling love. I am quite sure that they do!! He is adorable...and he has great taste in toys! A little slice of Christmas for my cubicle. Buc2 wrote: A little slice of Christmas for my cubicle. You're supposed to take the picture while laying underneath it.